This pumpkin soup recipe is rich and savory. It's a beautiful fall meal. Using chicken broth and cream adds layers of flavors and makes this homemade soup hard to pass up. By using onion and garlic powder you don't need to puree the soup in the blender. Bring the chicken broth, pumpkin puree, onion powder, garlic powder and thyme to a boil. Reduce the heat and let it simmer uncovered for 30 minutes. Stir in cream and serve garnished with parsley or cool to freeze. Let soup cool completely. 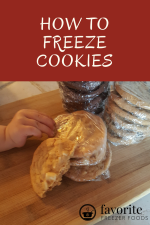 Freeze in individual or family size servings in freezer bags or rigid containers. Label and date your pumpkin soup and add it to your freezer inventory sheet. Thaw in the fridge and reheat on the stove or in microwave. Alternatively, you can run some hot water over the freezer container to loosen the edges and reheat it from frozen in a covered sauce pan with a few tablespoons of water or in the microwave. Either way stir often. Share your favorite freezer recipes. Got questions? 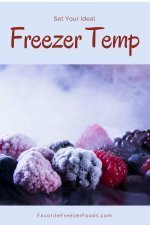 Ask your freezer cooking questions and get answers. Find Salivation in Your Freezer! Find more homemade soup recipes. Return from Pumpkin Soup Recipe to the homepage of your freezing food guide.